Got mine but have to cook dinner before I put them on. 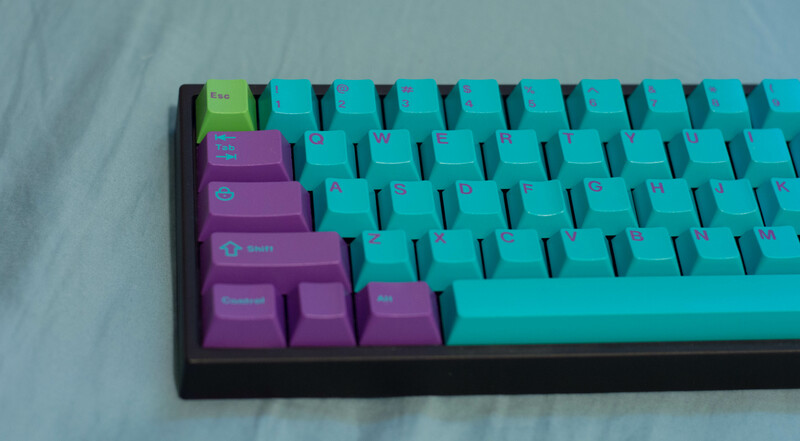 I know we haven't seen many people post about their sets yet, but I am liking the fact that I haven't heard mention of scratched keys. 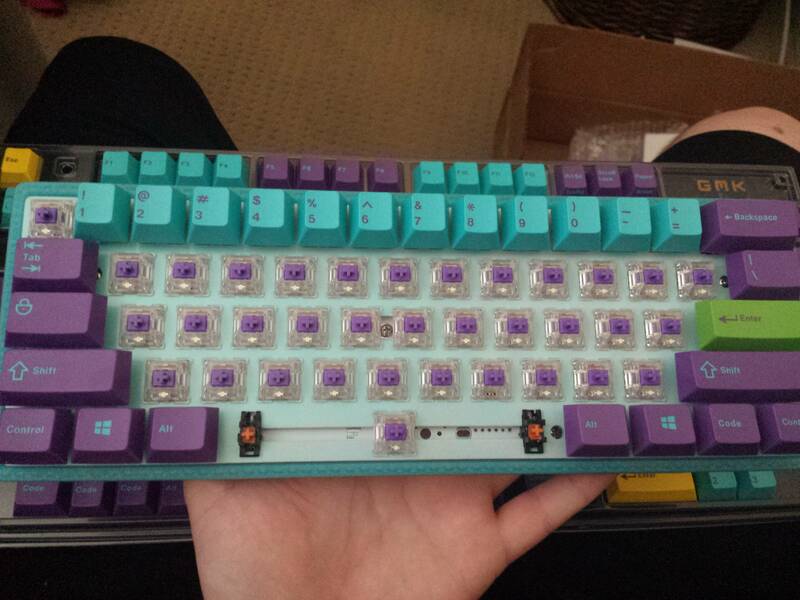 A got a couple with my Hyperfuse set as well, fortunately only one key that I am going to use was scratched, but still hoping to hear about replacements for that. I got the set in a bag, no tray, and mine were scratch free. I know i'm only one of many, but I hope this means less sets will have scratches than HF did. 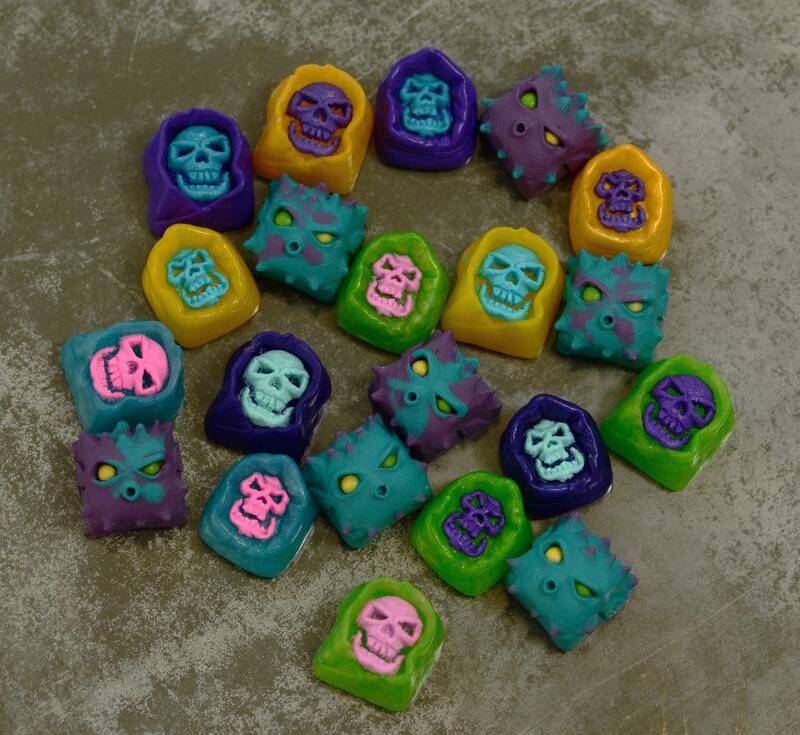 Where was the announcement about Skeletor-exclusive artisan?? I must've missed it! Ya, any shade being thrown towards Originative for scratched caps (not much but some!) is incorrectly placed. Scratches could've only happened via some kind of bulk amounts of caps being stacked or moved around, not a single set shipped in a box. 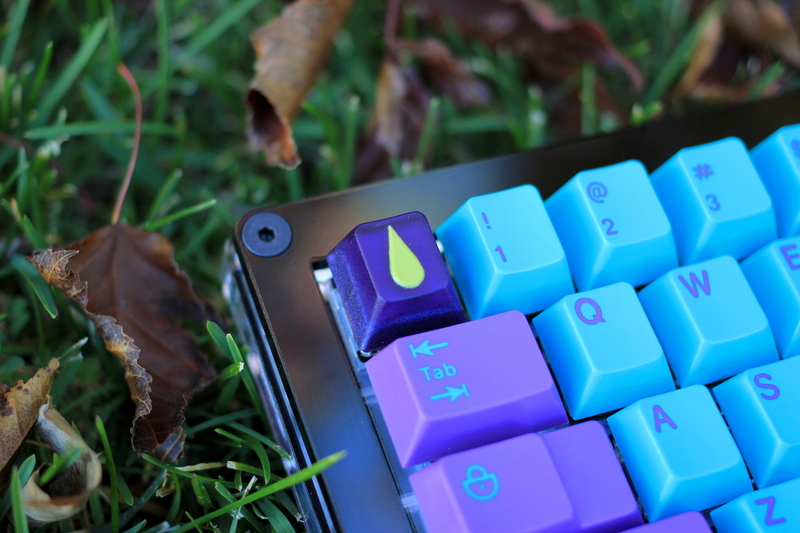 It's not like this didn't also happen with the last Hyperfuse sets and some other GMK sets, common denominator... But, it's not necessarily a common occurrence so I purchase with confidence because Originative has been pretty on point with CS in my few dealings. Just got word mine are safely at home. Looks like I might be having some cap fun tonight or tomorrow. Will we be receiving shipping tracking info? I just got my tracking info, so I assume it will roll out to everyone eventually. I got my tracking then it shipped from warehouse like a day or two later. Do they allow local pickup? If anyone's trying really hard to get rid of two 1.25u alt or windows mods and just can't figure out how to do it, pm me. This is a creative way to put an otherwise very long shot to get, good one. It's just as ridiculous and fun as I thought it would be. Quickies are really good if they're spontaneous. How do you like the fugu? 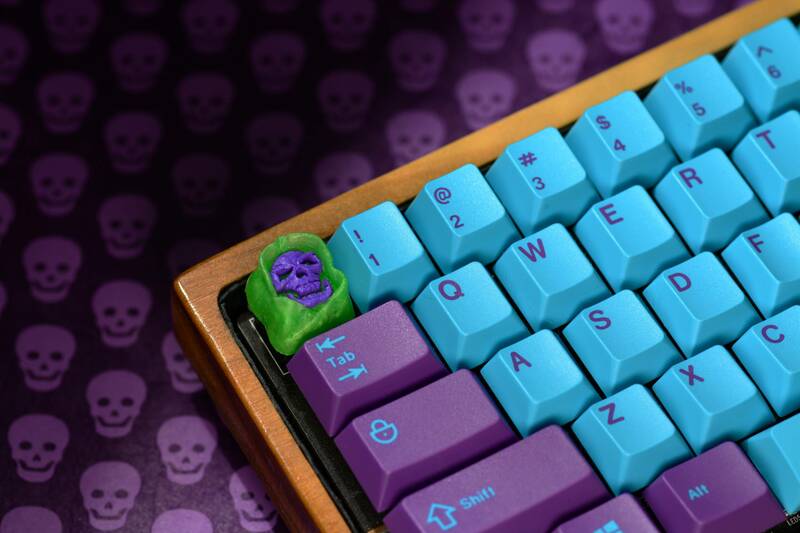 That Skeletor key looks freaking amazing! 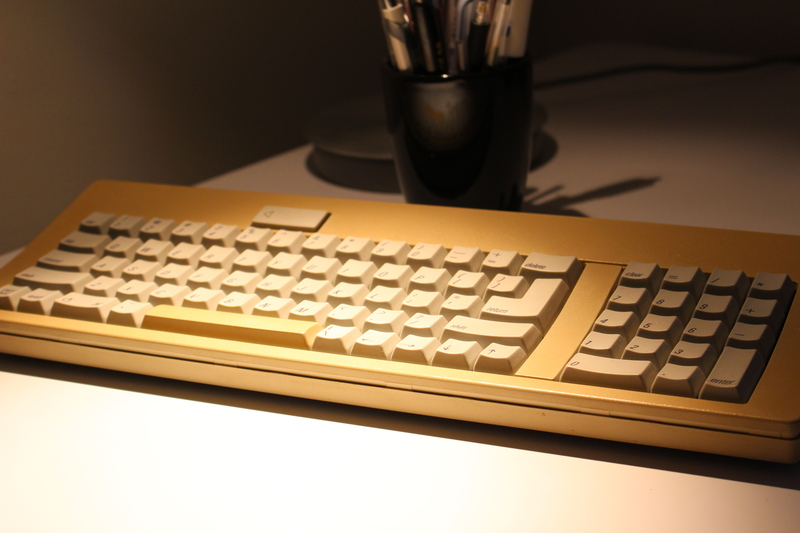 Still to be announced how to acquire this beaut, right? 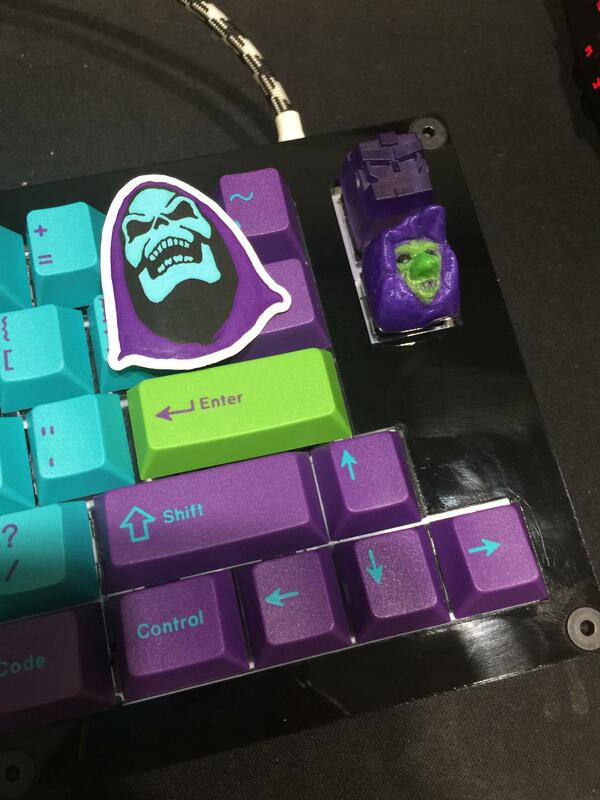 <EDIT> Curious about announcement on the Skeletor key, I'm already in on the set. 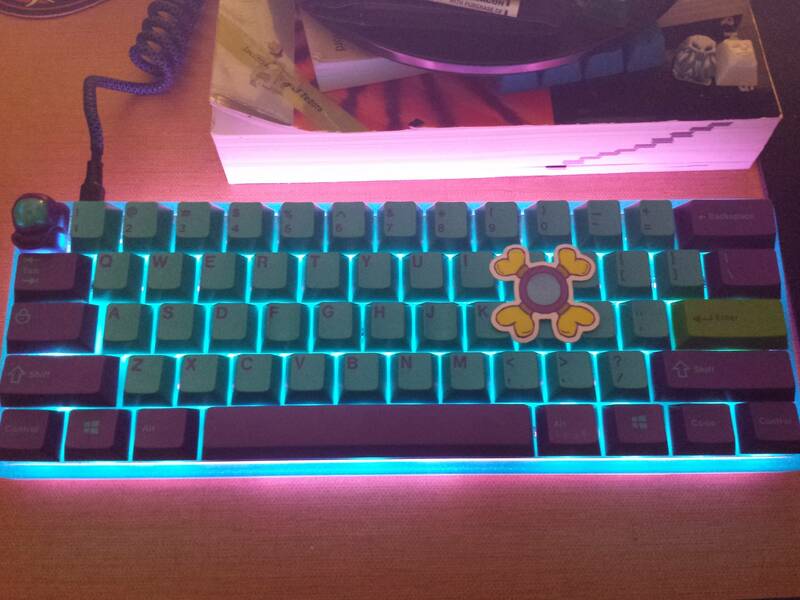 Threw them on and enjoying the GMK caps for the first time. I must say it's a good feel. Might be the set that stays on for quite some time. You guys using flash on those pics? The cyan looks rather bright compared to seeing it in person where it's a more mellow color. I have found capturing the actual hue of this cyan is near impossible. Mmmmmm, that pearlescent green in the hood looks killer. Congrats on the great set. Can't wait to get my shipping notification. This set is freaking awesome. Thank you Nubb and Sherry for making it happen! The new tray is great, too. Really happy with it. My postman literally threw the box against my door. I heard it in the other room. 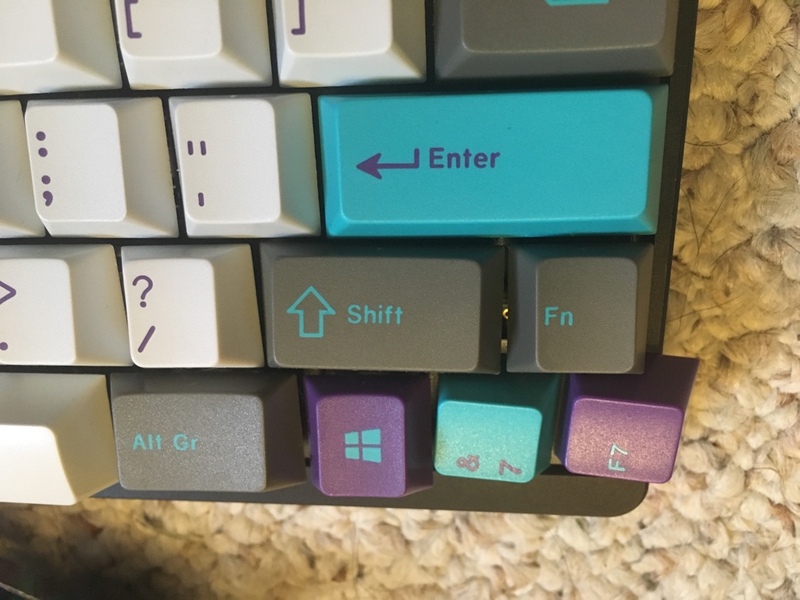 I thought "great, there's going to be caps everywhere" but nope. One cap found it's way on top of another, but that's it. Everything else was perfectly in place. So if I ordered Ceresia in the same order as Skeletor is my Skeletor not going to ship until Ceresia is ready? Similar question. I ordered Chronicler and am wondering at this point if it's possible to just get them shipped together. i'm in the same boat. what is the expected shipping date for ceresia now? I want Skeletor ASAP. Hopefully paying some additional shipping can make that happen? Lighting definitely plays a heavy part in this cyan. It's a bit brighter during the day but at night with the lights on, it's got a darker tone to it. So, as promised, updates on the giveaway. This coming weekend, I will be putting up a form for you to sign up for the cap giveaway. All you'll need to do to have a chance at the caps is two things. First, have proof of purchase of a set. This can be a shot of your set, a screen shot of your purchase order with shipping confirmation, whatever that proves that you actually purchased a set. Second, you need to agree to pay for shipping. Normally I'd cover shipping myself, but there are enough caps to give away that I would be be out a decent chunk of change to ship all the caps. You can choose if you want First Class or Priority Flat Rate. When it goes live, the form will be posted here in the third post. 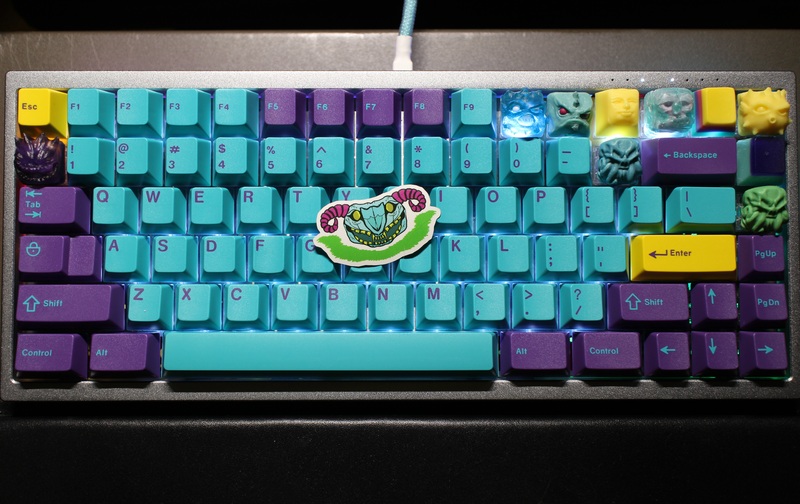 Oh god I want a Skeletor themed Fugu (or any Fugu) so much. Will I ever get one? I doubt it! 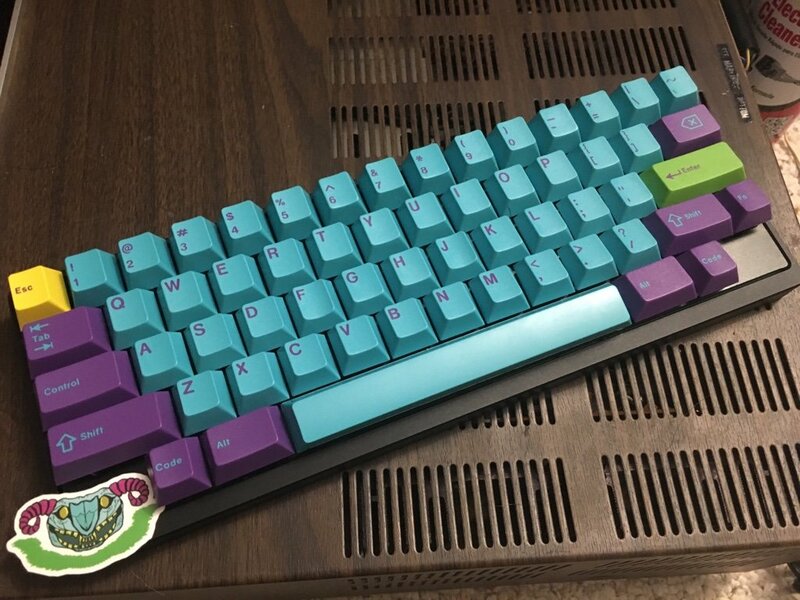 I just hope my set ships soon... 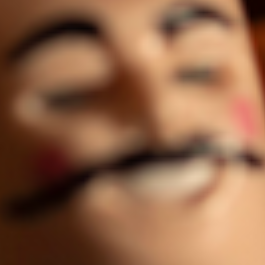 I'm getting jelly seeing all those pictures of sets that already arrived while mine still has to be shipped and then has to travel across the pond. Sweet! Loving the larger skulled one. Heres to hoping for one. Thank you Nubbinator for the chance. Since I ordered mine with some other items that are still awaiting for those GBs to be produced, my set hasn't shipped yet (and won't be for a while), if I show the email receipt from Originative, am I still eligible for this? 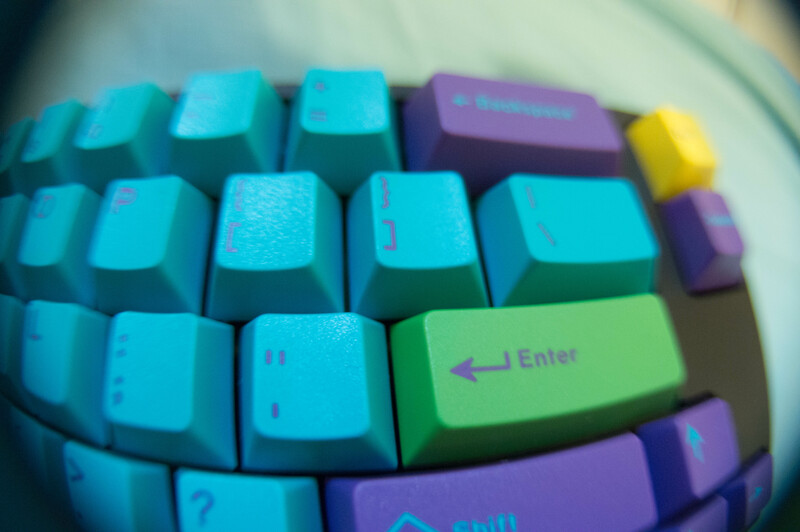 The purple and cyan skull on the top left is wicked! When will it go live?? In his post it says "next weekend" so I'd wager sometime around then. You have to pay extra shipping to receive Skeletor before Ceresia if both were purchased in the same order. Email Originative if you wanted that option. (I checked with them yesterday). Still waiting for shipping confirmation. Should have the Skeletor in my hands in the next day or two!!! Page created in 0.115 seconds with 71 queries.